Media Fury Radio is a popular internet radio show based out of the San Francisco Bay area. The show airs every Monday night and is hosted by celebrity consultant Valerie Denise Jones. On this week’s episode of Media Fury, host Valerie Denise Jones and co-host Omar Tyree welcomed special guest Nona Brown. Nona Brown is a professional songstress and former group member of gospel music legend Edwin Hawkins and the New Edwin Hawkins Singers. 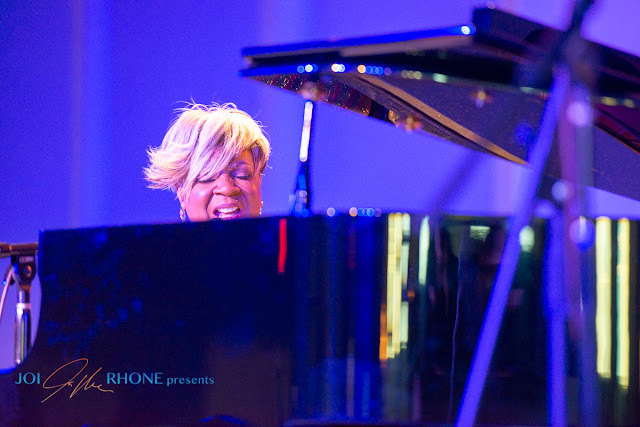 A native of the San Francisco Bay area, her passion for music lead to a celebrated career which spans over 30 years. Stay tuned: Nona Brown will receive the BMA “PEOPLES CHOICE AWARD” during the 15th annual Bay Area Black Music Awards set for Saturday, November 17, 2018, inside the luxurious Richmond Auditorium. Speaking of Nona’s music career during the first segment of the show several areas of interest were discussed. Specifically, her featured song “Woman Phenomenal” which haphazardly was inspired by Mya Angelou’s poem “Phenomenal Woman”. The most heartfelt moment to me is when she almost brought the host to tears. A snippet of her YouTube video was aired, which detailed her diagnosis of breast cancer. As a 3-year cancer survivor, Nona tells how her music career was going extremely well, being on the red carpet at the Grammy’s. She was also approaching the end of her term as VP of The Recording Academy SF Chapter. The second segment of the show introduced Victoria Griffin Outreach Coordinator of the Sisters Network Detroit, Michigan chapter. Victoria Griffin is also a 3-year breast cancer survivor. As another highlight of the show, the son of legendary Robert (Kool) Bell of Kool & the Gang, DJ Prince Hakim Bell joined the conversation. DJ Price Hakim produced a tribute song for cancer survivors. His song “Royalty” is a song of celebration and hope, which pays homage not just to survivors, but women of all walks. Listen to the show in its entirety, please click the link below. Media Fury Radio airs every Monday at 7pm Est so join the conversation call 515-605-9376. Please like, subscribe, comment, and share.